Check out this very cool video I snagged from Apartment Therapy. I'm always looking for lovely and unique ways to display my treasures, aka my books. 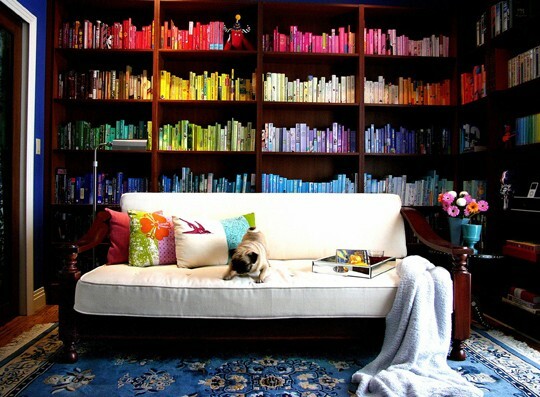 The bookcase and its color-coded books below make it visual eye candy. Right? Right. I loooooove apartment therapy. It's so addicting. Thanks for the video, it was really cool!